Noam with a few of the seniors honored today at the Doyle Center. 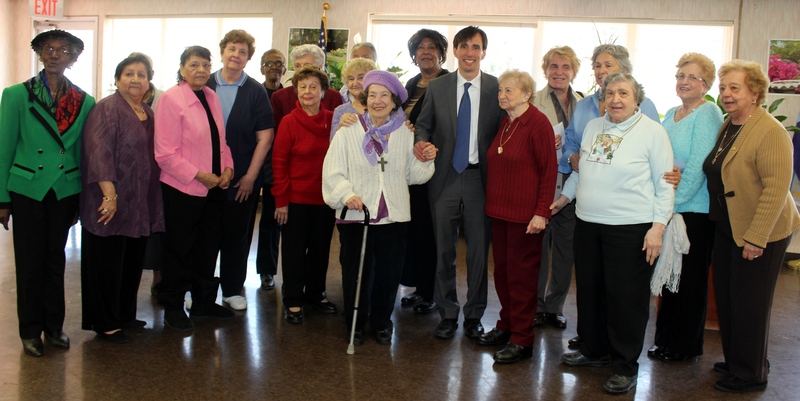 Today I had a chance to visit the Hugh Doyle Senior Center in order to give a big THANK YOU to about eighty volunteers. These senior citizens, who devote time and energy to Montefiore Hospital, Meals on Wheels, the Foster Grandparent program, and the Doyle Center itself, set a terrific example for people of every age. Our local event was part of the national Mayors’ Day of Recognition, during which almost 2,000 mayors nation-wide celebrated the contributions of community volunteers.